With these words Whitman announces that his audience will possess the creative origins and meaning of poems if they stop with him awhile. Little was he aware that some individuals suffer a profound inability to identify creative metaphor, an inability which would in turn render some in his audience unable to appreciate the poesis of his poems. No other human type can equal the extraverted sensation type in realism. His sense for objective facts is extraordinarily developed. His life is an accumulation of actual experiences of concrete objects, and the more pronounced his type, the less use does he make of his experience. In certain cases the events in his life hardly deserve the name "experience" at all. What he experiences serves at most as a guide to fresh sensations; anything new that comes within his range of interest is acquired by way of sensation and has to serve its ends (Jung, C.G. 1971, p. 52). There are some cases in which alexithymic individuals learn to understand metaphors in the sense of a sign with a numerically limited value where, for instance, a fire is a sign of anger (and anger only), or a heart a sign of love (and love only) or a cross is the sign of Jesus' Crucifixion (and Jesus’ Crucifixion only). The metaphor is not allowed to suggest itself with multiple random possibilities and is forced to comply with the pre-packaged, prior-learned definition. The individual may develop a repertoire of fixed metaphorical signs as a basis from which to interpret poetic images, but signs which more often appear meaningless in contexts where the poem’s intended meanings depart from the sign’s locked-in definition. Here (in the use of signs) metaphor becomes a literalistic exercise of a mind searching for definitional certainty. 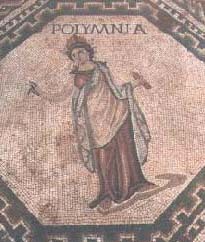 Noesis in place of poesis. Such sign language functions for the alexithymic individual as an intellectual compensation for his deficit in spontaneous imagination, reminding of how a color-blind individual must make intellectual compensations for his deficit in color detection. For such persons the phrase poetry blindness is apt as referring to the inability to ‘see’ the limitless possibilities and ambiguity presented by the poetic image. The alexithymic individual sees limited possibilities in a poetic image which renders the metaphor unable to “suggest itself” as an ambiguous and limitless pool of potential. Or said more accurately the metaphorical image does suggest itself, but to a person who has little sense by which to receive it, ie. little spontaneous imagination. George Lakoff and Mark Johnson suggest, in their book ‘Metaphors To Live By,’ that there are two very different understandings of metaphor. The first they term conventional metaphors which have agreed and standardized meanings that help structure the conceptual system of our culture, and the second are metaphors that are outside our standardized conceptual system which they term imaginative or creative metaphors which pose new realities rather than a preexisting ones. Therefore it is the inability to envisage the latter which characterizes alexithymic perception and sets these individuals at a handicap when trying to appreciate the potential implications of a metaphor or poem. In the face of this anomaly the question arises of what or who is blocking the ability to imagine spontaneously? According to psychoanalysis the culprit is the mechanism of primal repression, a theoretical blocking impulse which, unlike in normal repression (where imaginal contents do crystallize in awareness but are subsequently banished) does not allow for spontaneous images to form at the outset, meaning there are no hidden images to uncover through therapy.... the images simply have not formed. To translate this deficit into the language of archetypal psychology we might say there is a lacuna, i.e. in this case a complete absence of creative imagining. In an attempt to describe such lacuna James Hillman writes, “Something is fundamentally missing. Your character, your personality inventory has a hole in it. Your crimes are not due so much to the presence of shadow, but rather to a specific absence, the lack of human feeling [and] other traits may fill out the absence: impulsiveness (the short fuse), shortsightedness, repetitive rigidities, emotional poverty." (Hillman, J. 1996 p.234). Furthermore, we cannot be tricky and imagine that the individual has “a lacuna way of seeing” or that he sees “by means of lacuna”, for this smacks of a projection to quiet our own fear of the imagination-less state. The alexithymic individual does not see by means of lacuna, rather, he simply does not see. In the spirit of archetypal psychology we might locate a mythical person in the act of primal repression, a figure who personifies the image-blocking agency. Here I propose as culprit Apollo the God of intellect and conceptual clarity, the one to whom Whitman was perhaps appealing to shut not his doors, ie. to the one who might be persuaded to unblock his proud enclave of knowledge and accept spontaneous untold latencies which await. 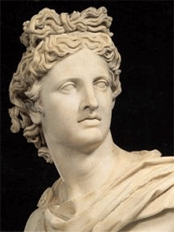 Aside from his splendid portrayals as god of art and science, Apollo has a negative aspect as an intellectual tyrant who tries to bind all Cassandrian revelations to himself, or otherwise render them unintelligible to those who might hear. 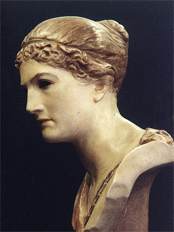 As suggested by James Hillman: "Apollo certainly presents a pattern that is disastrous, destructive for psychological life, cut off from everything that has to do with feminine ways, whether Cassandra or Creusa or Daphne -whomever he touches goes wrong- so that you have the feeling that Apollo simply doesn't belong where there is psyche." (Hillman, J. 1983 p.25). Because alexithymic individuals tend to fare poorly in personal and interpersonal life, a sympathetic nerve is struck in therapists who want to cure those afflicted or at least make an improvement in functioning. Therapy of alexithymia is a growing industry, with therapists of every ilk making grand claims of their ability to shift the alexithymic blockage of imagination: art, poetry, play, dance, archetypalist, Jungian, psycho-dynamic, cognitive, relational and other therapies each vie for the claim of ‘best alexithymia therapy’, but what few are willing to do is see the phenomenon of alexithymia as it is, phenomenologically, without reference to either aetiology or well-meaning proscriptions for improvement. Therapists attempt to evoke responses through art, play, poetry, and symbolic narratives and are frequently successful in evoking physical emotional arousal in the individual, but such bodily-reactions still leave the aroused person utterly clueless as to how to imagine the emotions which have been unleashed in his body. For the full circle of emotional processing to be completed a further extrusion of our emotions is required "through yet another interpretive grid- now applied not to the situation the emotion is about but to the emotion itself as a state of the subject" (Roberts. R.C. 2008). This suggests that the evoking image (via art images, etc.) is not enough to break through the alexithymic armor, and that it takes a further act of representing the emotion in image form to complete the circle of awareness and hence to “make soul”. But it is not even certain that the alexithymic individual has the capacity to creatively imagine his emotional arousal, such is the reality and steadfastness of his lacuna. Whitman’s desire to have all comers participate in the creative act of poesis is an ambitious one which may fall shy of the mark for some listeners, but this very failure of imagination serves as a reminder that we might count ourselves among the fortunate to get at the meaning of poems. *A revision to the original essay was made December, 2009. For the original version published please write mythopoetry.com with your request. Bachelard, Gaston. (1988) Air and Dreams: An Essay On the Imagination of Movement. The Dallas Institute Publications. Hillman, J. (1983) Inter-Views. Spring Publications. Hillman, J. (1996) The Soul’s Code: In Search of Character and Calling. Random House Inc..
Jung, C.G. (1971) Psychological Types - Vol. 6 CW. USA: Princeton/Bollingen. Lakoff, G., and Johnson, M., (1980) Metaphors We Live By. University of Chicago Press. Lopez-Pedraza, R. (1990) Cultural Anxiety. Daimon Verlag, Switzerland. Micklem, N. (1979) The Intolerable image: The Mythic Background of Psychosis. Spring. Plaut, F (1966) Reflections on Not Being able to Imagine. in Analytical Psychology: A Modern Science, ed. Fordham, M. et al, Heinemann, London (1973). Roberts. R.C. (2008) in Corrigan, J. The Oxford Handbook of Religion and Emotion. Oxford Uni.. Press. Taylor, G.J., Bagby, R.M. and Parker, J.D.A. (1997) Disorders of Affect Regulation: Alexithymia in medical and psychiatric illness. Cambridge University Press. Whitman, W. (1977) The Complete Poems. Penguin.